Was There A Google Local Maps Algorithm Update Also? Home > Google News > Google Maps > Was There A Google Local Maps Algorithm Update Too? I know there most of the focus over the past week or so in the SEO community is around the big core algorithm update at this point seems to be slowing down. But there is a large number of SEOs who focus on local SEO saying with this update, some of the local rankings have seemed to significantly fluctuation as well. We know, at least typically, the local ranking and core search rankings are separate - so to see both happen around the same day may be unusual. This local update may have started July 30th through August 1st, when the core update was on August 1st. 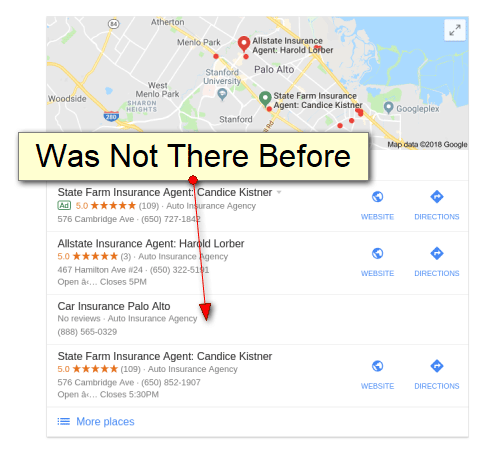 Local search rankings is hard because it is so easy to get new listings in Google Maps that the results can fluctuate a lot when new listings show up. In any event, have you seen any local search changes around the same time of this Wednesday algorithm update?